Colloidal Silver, ionic silver, what is the difference? Technically speaking, colloidal silver is defined as particles and clusters of silver one nanometer to one micron in size. A particle is considered at least two atoms of silver, each atom has at least 47 orbital electrons. Colloidal silver is particles-clusters that are approximately 1 nanometer to 1 micron in size, that are dispersed into a liquid. Technically speaking, liquids other than water could still accurately describe colloidal silver, the addition of proteins may also still qualify as a colloid, even compounds may at times qualify, but when we speak of colloidal silver we mean 1 nm to 1 micron silver particles in water specifically as the dispersion medium and no other additives. Colloidal particles, when they are in a liquid (dispersion medium), produce an interaction between the particle surface charge and ions within the liquid in the immediate area around the particle, described as an electrical double layer, comprised of strongly bound ions closest to the particle (Stern) layer and the outer less strongly bound (diffuse) area. The diffuse area is also called the slipping plane, within which counter-ion charge accumulates as an ion cloud that moves with the particle within the dispersion medium. The electrical potential in the (slipping plane) notional boundary area is measured as an electrical value in volts (millivolts) and is known as zeta potential. The thing to keep in mind is that colloidal silver is not just the silver in water that is the colloid, the medium itself (the water) is a part of the colloidal system. 1 Micron = 1000 Nanometers. A unit of length equal to one millionth (10-6) of a meter, the expression (10-6) is rarely in technical use and is mentioned simply for reference. Ionic silver – An ion is an atom or group of atoms that is not electrically neutral but instead carries a positive or negative electric charge. Positive ions are formed when neutral atoms or molecules lose valence electrons; negative ions are formed when they gain electrons. Ionic silver: Single silver atoms are about 0.288 nm in diameter. A silver atom normally has 47 orbital electrons, it is the loss of at least one orbital electron that is the description of the ionic state. Silver in the ionic state is considered dissolved, ions are not accurately described as particles and are not the same as the discrete state of particles as is found in clusters of atoms (at least two atoms each with at least 47 orbital electrons) which is the definition of a colloid. The term colloidal dispersion is not an accurate description for a purely ionic silver because it is dissolved silver, which is accurately described as a silver solution or hydrosol. That said, there is virtually always a ratio of silver ions present with silver particles that are in a true colloidal state, even if it the amount of ions present in the dispersion medium is relatively small. The Colloid Master produces dispersions that are a combination of colloidal and ionic silver. How long does it take to produce a batch with the Colloid Master? The general range of time it takes to produce colloid is dependent upon the setting used as well as the volume of water. The Colloid Master allows for customized approaches to batch sizes from One quart (32 ounces) to one gallon (128 ounces). The Colloid Master can also be used with custom electrode sizes and electrode distances. Using setting 10 PPM making a 32-ounce batch with a 1 1/4″ inch electrode spacing, using a 6 inch X 1/2″ or 1/4″ inch .999 electrode, and distilled water that is less than 1 ppm, then the average time to make a batch is approximately 3.5 to 6 hours. One-gallon batches multiply the longest 32 batch time for an approximation, such as 6 hrs x 4 quarts = 24 hrs. If using a 2 1/2″ inch electrode spacing the average batch time will increase the time it takes to make a batch by several hours. The water quality, environmental and other variables such as the size of the batch, electrode size and electrode distance will vary with each user of the Colloid Master. Changes of these variables primarily affect the time a batch takes to complete. You will become familiar after making several batches, and with experience will become familiar with the subtleties of the process. See the Self-Help: Colloid Master Trouble Shooting section for further information. The time required to produce a batch at the same setting may vary slightly from one use to the next, even when using the same water, but the resulting colloid is predictable, small particle size is maintained and, as a result, the colloid is stable. The PPM is very repeatable. We have colloid in storage from over 10 years ago, which has remained essentially the same as when it was stored, meaning within 1 PPM of when it was originally made and stored. Also read: Why did the PPM of my batch seem to go down after several days ? How does the Colloid Master process shut off at the correct PPM ? The Colloid Master shuts off automatically at the parts per million it was set for at the beginning of the process by sensing through the electrodes variables that correlate to previously known conditions that indicate the correct PPM has been reached, it then shuts off. It does not use a timer because changing variables that effect the process would not yield accurate PPM results if we used such a simple method. The Colloid Master automatic shut of feature has been a standard feature since 1998. Why did the PPM of my batch seem to go down after several days ? There are ionic and Colloidal particles when the solution and the Colloid Master is designed to shut off when the desired ppm is achieved. Depending on the TDS meter, sometimes called a ppm meter, at the time the batch finishes the ionic ratio is measurable to that type of meter and depending on the meter and other conditions the ppm is consistent with the ppm setting of the Colloid Master WHEN the batch initially finishes! When the batch is finished then it goes through another process called dispersion; this is when the particles that entered into solution form nanoclusters, which are neutrally charged, (therefore not measurable by a hand-held TDS meter). So, the ppm tester can accurately sense the ionic particle stage (when the batch first finishes), but after the particles form into neutrally charged nanoclusters it appears as if the ppm is going down, (at least as concerns a simple TDS meter). There is no device available except to laboratories that will be able to measure the neutrally-charged colloid particles and ions, unless you send the sample into a laboratory or spent over $100,000 on an instrument such as a Malvern Zeta sizer. 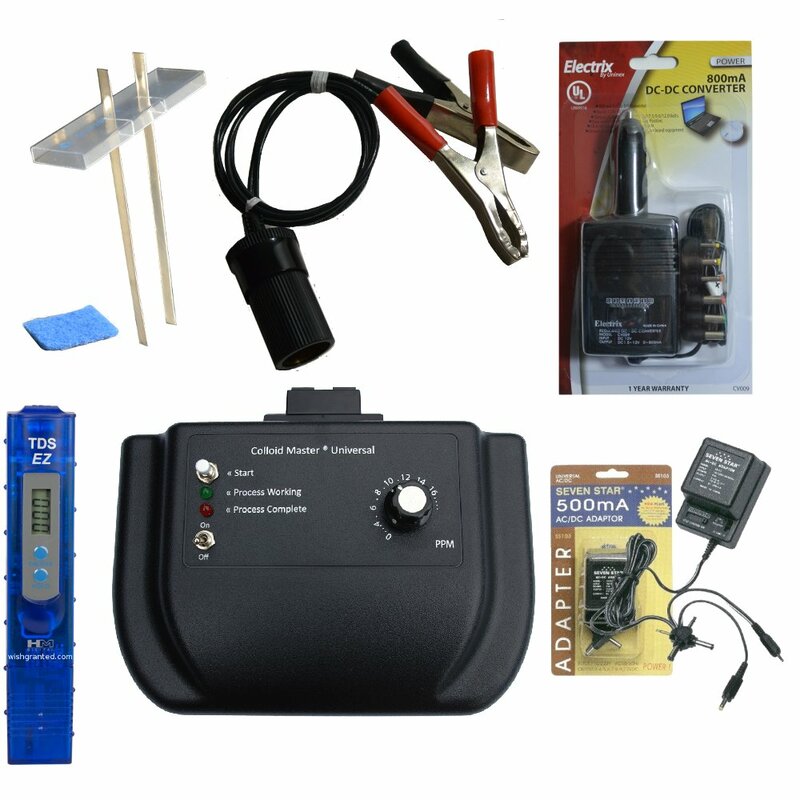 TDS meters are in truth, conductivity meters. 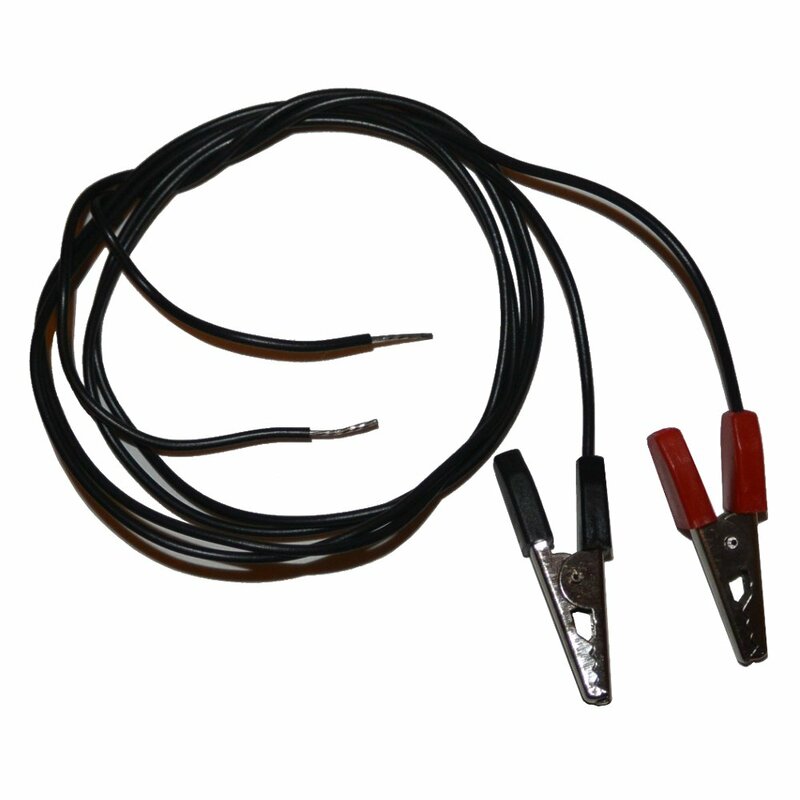 They work by applying a voltage between two or more electrodes. Positively charged ions gravitate towards the negatively charged electrode. The negatively charged ions gravitate towards the positively charged electrode. The water, in this case as pertains to colloidal silver, produces streams of moving ions, the streams of ions act as a conduit for electrical current, the more concentrated the ions are, the stronger the current. The TDS meter then interpolates that conductivity of how much current passes from each electrode and the circuit and algorithm of the device gauges and digitally displays the number, usually in PPM, based on how many ions the device senses are in the solution. We have made the colloid master auto shut-off feature with the final results of total actual ppm in mind. What you see regarding ppm at the end of a batch is a dynamic of the TDS measuring device, which can only see ionic (charged particles + or – ). We tried several hand-held meters, and we chose one that works well with our equipment (displays a relatively accurate reading when the batch first finishes). What happens after a batch of colloidal silver sits for a day, or several days (dispersion phase), is that, some of the particles become invisible to the ppm tester. You will notice that the greater the drop in measurable ppm with a hand-held meter the greater the color change (colloidal particles have a yellow to gold color) (ionic silver particles are clear). So, as long as you store the batch out of direct sunlight after it is made it will be okay, and although the ppm may over time may show a ppm measurement (with a handheld TDS meter), below the ppm that it had measured when the batch shut off, for reasons just described. You do not lose any of the total ppm; you just can’t measure it anymore with a cheap hand-held meter. I bet you did not expect to determine the ppm could be this complicated, and believe me, the answer was kept as simple as I could put it, though actually, this is a much more complex issue. What size batches can the Colloid Master make? The Colloid Master will work with as little as about 12 ounces of water but the average batch size users most commonly make is a 32 ounce batch. The Colloid Master will work when making batches up to One gallon (128 ounces). The Colloid Master will work with 1/4″ inch 1/2″ sized electrodes as well as odd sized electrodes. The Colloid Master will also work with custom electrode lengths and electrode spacing, if you are a experimental customizing to your needs sort of person, then you will find that the Colloid Master is flexible in how it can be used while still providing consistent repeatable results. What is the best way to store this type of colloidal silver? When the Colloid Master processing light shuts off the batch is done. At that point, the electrodes can be removed. The water (dispersion medium) combined with the silver particles will go through a dispersion-phase during the first 36-72 hours. During this time, the particles create stable associations forming nanoclusters. After the first 36-72 hours the particles are in a stable phase or state, relatively speaking. It is of particular importance to keep the colloid out of direct sunlight during the first 36-72 hours. For storage of the finished product is best to use a brown glass container if the material will be exposed to light, or a clear glass container if stored in a dark location. Alternately amber glass or a glazed ceramic container that does not allow any light through will also work well. We have also used PETE Plastic with good results. Blue glass does not work as well as brown/amber glass. We usually filter the colloid after 72 hours then store it. PETE type plastic stands for Polyethylene terephthalate. If you decide to use plastic containers, we can suggest that you look for a triangle type shape on the bottom of the container with the numbers 1, 2 or 4. These designations help establish types of PETE plastics that are likely to perform well for this particular use, also these designations help to avoid using plastics that pose toxicity and colloid degradation issues. What is the self-life of the colloidal silver? We have stored the silver dispersions made with the Colloid Master in clear glass as well as clear PETE plastic bottles in a dark storage area at our facilities for 10 plus years, with little or no change from the PPM that it was when originally stored. How the dispersion was created, the water quality ionic content of the water, the container used and where it is stored effect the self-life, in general. We have noted that very strong electromagnetic fields from things like moving magnetic motors are in close proximity can have a detrimental effect on the stability of colloids. See the section directly above regarding the best containers to use for storage. Is it true Solar coronal ejections effect making colloids here on Earth? In terms of the Colloid Master stability, it functions the same way every time it is used, however; there are other factors to consider. Changes in environmental conditions effect the process within the dispersion medium (the water). Phenomena such as forms of cosmic energy directed at Earth from space, solar events, in particular, coronal mass ejections have fundamental energetic effects that have a very direct with regard to the colloidal production process itself. This is one of the main reasons that we do not use a timer for the Colloid Master-automatic shut off feature. We have found that, the are variable in the environment that change from batch to batch, so, in order to maintain small particles, a precise adaptive process is required, which lead to the creation of Colloid Master auto-shut off configuration. During the process there is water and silver interacting with electrical current, silver atoms and ions are dispersed into the water, some silver combines directly with oxygen (silver oxide) on the electrodes. The silver oxide that is produced during the process will not become suspended into the liquid because the material doesn’t have the correct properties to become truly colloidal. The silver oxide that accumulates on the electrodes aggregates into a much larger particle size, larger than one micron and precipitates and falls out of suspension to the bottom of the container. At times, when intense solar events occur, such as Earth-directed coronal mass ejections, at such times the silver oxide particles increase and is easily visibly confirmed. During such events, which last usually about 3 days, silver oxide (tarnish) accumulates on the electrodes much more so than usual and falls off of the electrodes to become easily visible on the bottom of the production container. At these times, there will also be a noticeable accumulation on the electrodes identified by the dark gray tarnished appearance. These events do not necessarily destroy the batch, in fact, we have some of our most interesting anomalous batches during these times. The finished colloid should be filtered simply to remove the silver oxide material that falls to the bottom and is stirred up when pouring the liquid from the container it was made in, into another storage container. The colloid can be filtered and used or stored immediately after the process completes. Although you can use the finished batch immediately, it is usually best to wait for 36 to 72 hours as mentioned above, when the particles have finished dispersion and reached the stable phase. Solar events have a strong influence in terms of slowing the process of making a colloid, primarily because it causes increased oxidation, which occurs especially when the sun is sending lots of high energy phenomena our way. You can monitor solar events yourself at the link below, which provides tools for monitoring solar events and the geomagnetic field. Can I use salt (sodium chloride) or NaHCO3 (bicarbonate of soda)? The short answer is no, the Colloid Master will not work if any additives or contaminants are present in the distilled water. We do not use salt or bicarbonate of soda as a part of the colloidal silver production process. There are or have been proponents of the use of those materials, which is used to increase conductivity in the water, to compensate for the inadequacies of the overall control of the process and speed its completion. Taking the approach of adding salt or other materials can result in making a silver compound rather than a pure silver colloid, and can cause variations in the process that in our opinion are undesirable, such as producing too large of particle clusters, which makes the finished product unstable and undesirable. If one wishes to speed the process using the Colloid Master the only method that will work is the addition of 1 to 3 ounces of previously made colloid to the fresh distilled water before starting a new batch. This will decrease the time needed to complete the process. Using previously made colloid as a starter is the optimal method. The use of previously made colloid as a starter may take less time for the process to be complete but does not generally increase PPM or otherwise measurably alter the end result. Do I need to heat the water with this process? Heating the water is not required with the Colloid Master, it is designed to work at room temperature. The normal temperature range for operating Colloid Master is 60 to 105 F (15.5 – 40.5 Celsius). Does the Colloid Master only work with distilled water? The Colloid Master was designed with the idea that it should be automated and shut itself off when the correct ppm is reached. 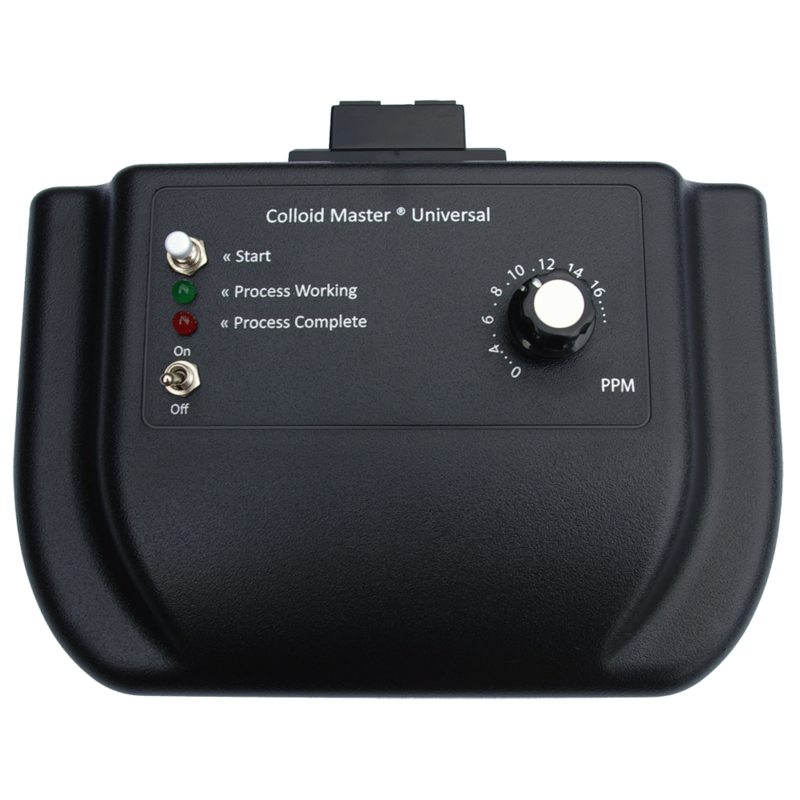 The Colloid Master was designed to reliably make a consistent ppm each time. But that is not the only reason we designed the automatic shut off feature, we wanted to make sure that the process would not work if contaminants were present in the water. The most widely available water to use that meets the proper operating criteria is only distilled water. Since the Colloid Master was designed in essence to monitor PPM, it can also be used to test water quality. It is important to note that: the Colloid Master is only designed to work with pure distilled water, not tap or spring water. The Colloid Master incorporates a built-in water quality test function. Since the Colloid Master was designed in essence to monitor PPM, it can be used test water quality. The testing procedure is covered in more detail at the Self-Help: Colloid Master Trouble Shooting section. How many parts per million does the Colloid Master make? The dial of the Colloid Master goes from 1 to 10, this does not represent 1-10 parts per million, the PPM is double the number on the dial. We suggest a setting of 5 to12 PPM, the most common setting is 10 PPM..
Will the Colloid Master make colloidal gold too? The short answer is no, the energy required to break the bonds of gold particles within water and move the particles into the water are much higher than this process will accommodate. Some users do experiment with other metals with the Colloid Master and report satisfactory results, but we do not provide support for such use at this time. What is the best PPM (Parts per Million) to use? This is really a matter of the intended end use, however, we do not provide advice or consulting with regard to individual applications or use of the silver dispersions. That said, based on our research, it has been our long-standing opinion that the optimal range for making a stable silver dispersion with water as the dispersion medium is 10 to 17 PPM. There are many factors that we took into consideration when making this decision, including the particle size as well as the overall colloidal integrity and stability. In our opinion, the silver dispersion is saturated with submicron silver particles in balance with the ionic content at approximately 13.5 PPM and that the best range is 10 PPM to 13 PPM generally speaking. Although higher parts per million can be forced or attained via other processes, our research has convinced us that forcing higher PPM usually causes the particles to aggregate into larger particles, which in our opinion compromises the quality, integrity and in effect causes the colloidal dispersion to be less stable and desirable. We use a 10 – 12 PPM solution for most of our work. Can I test PPM myself? If you are interested in monitoring the PPM of the colloid, that you produce with the Colloid Master the most precise way is with proper lab equipment such as a Malvern Zetasizer, although a quick relatively accurate and inexpensive way is to use a PWT (pure water test) meter. The TDS (total dissolved solids) type tester works best with regard to dispersions from the Colloid Master if used within 1 hour from when a batch completes. A TDS meter cannot actually measure PPM. A Primo Meter ( Hanna Instruments.) measures conductivity, this data is then interpolated to reflect the parts per million. Although there is no inexpensive device that directly measures ppm, we have found that this method is a very reliable method to approximate the ppm, and when the results are gauged against the more reliable and expensive testing methods the results in general closely match the actual ppm, especially when the reading is taken with the first hour of the batch having completed. Does the Colloid Master use a stirrer or pump to keep the silver dispersed? The Colloid Master does not use or need a mechanical stirring mechanism. The Colloid Master employs a bi-directional current pattern to the electrodes which electronically changes the positive and negative positions periodically. The pulse induced by the polarity change, in effect, causes the silver particles to be electro-kinetically stirred. The Colloid Master was the first device of this type to employ these features, which have been a standard feature since 1998. By design, we effectively addressed this issue long before others even thought to consider it. The Colloid Master is an advanced design with a proven history, yet affordable! What is the correct color of colloidal silver? Colloidal silver can appear to be light yellow to yellow-brown like tea, not because of excessive oxidation as is sometimes reported, the main consideration is the surface plasmon absorption band polarization. The color is due to the light refraction of the yellow to yellow-red/brown part of the light spectrum. It is possible for contaminants or oxidation to be a factor regarding the color of colloidal material, generally speaking, but the Colloid Master will not function if contaminants are present. The colors described above are a result of polarized charge contained in the surface plasmon absorption band, not contaminants or oxides. The reason is somewhat like explaining why the sky is blue. In this case, the colloidal liquid is light yellow to a deep golden color because silver particles absorb the blue part of the light spectrum while the yellow to red part of light spectrum is emitted and appears as the yellow, golden to tea-like color. What is the difference between Colloid Master AC and the Colloid Master Universal? The name Colloid Master AC signifies that it can only be powered via 110 Volts AC. Colloid Master Universal signifies that it can be powered by multiple power source types, such as 110 Volts AC, also 220-240 Volts AC, or with the optional regulated DC adapter (Item #13) it can be run via 12-volt cigarette lighter receptacles or RV outlets. It can also be powered via the terminals of any 12-volt battery or via the load connectors on a 12 Volt Solar system. Although the enclosures of both models of the Colloid Master look similar, the circuitry inside is completely different for each model of the Colloid Master. The Colloid Master Universal is a more rugged industrial design in terms of the circuit board and overall construction. It is made tougher and is more durable in order to withstand off-grid, remote-location, in-field use, as well as being better able to tolerate the rigors and abuses of being shipped long distances. Either Colloid Master is a good choice, each comes with a 30-day money back satisfaction guarantee, as well as a 3-year warranty. The important thing to know is that the silver dispersions created with either unit are nearly identical.